The Huawei Matebook 13 is yet another best in class laptop from Huawei after Matebook X Pro. Although the Matebook X Pro didn’t need to have improvements upon its best-in class, however the company did it anyway. 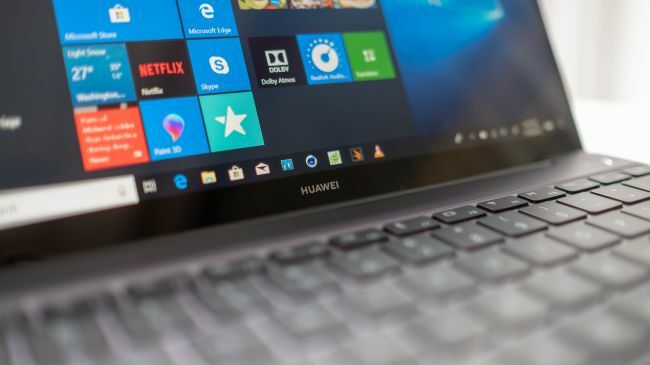 According to Huawei Matebook 13 reviews, the laptop offers a great performance in compare to all other laptops in its class and even for less amount. Also, the look of the laptop seems much better and it feels probably like a 2018 Macbook Air, almost. 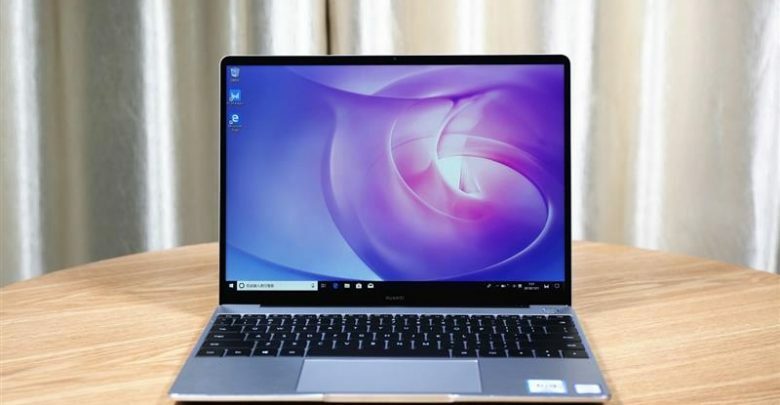 Experts have tested Huawei Matebook 13 and found there might be some missing minor niceties but still in its price range, the lappy is the most value packed flagship device from the company. Talking about Huawei Matebook 13 review about its specifications, Huaweil is basically selling two versions of the laptop, the first one is entry level version and the other is high-end version. Both of the laptops offer same 13inch 2560 x 1440 touchscreen display in a 3:2 aspect ratio, 8GB or LPDDR3 RAM and a fingerprint scanner as well, that is embedded into its power button. However, the more approachable entry-level version includes a 8th Gen Intel Core i5 processor with integrated graphics card along with 256GB storage option. Whereas the high-end version sports Intel Core i7 processor with Nvidia MX150 discrete graphics card chip inside, also 512 GB storage option. Both the two models are included with a helpful USB-C dock in the box with one free year of Microsoft Office 365 Personal. Looking through the design of Huawei Matebook 13, it probably seems to be identical to Huawei’s last year laptop Matebook X Pro, but the company is selling both of the modls separately. Huawei Matebook 13 is fitted into same aluminum body like X Pro and is available in Space Gray and Mystic Silver color options. 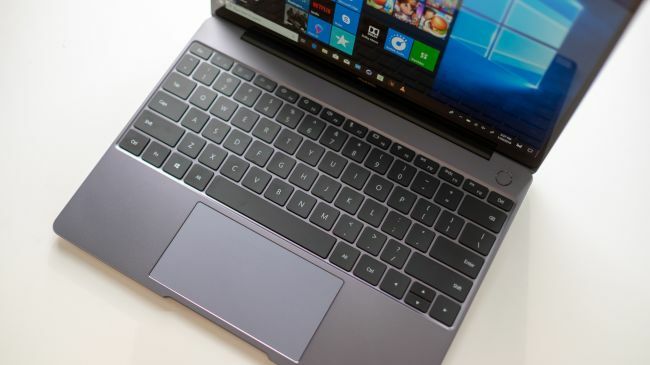 In Matebook X Pro, the company has cleverly placed the webcam hidden beneath the keyboard, but in Huawei Matebook 13, the cam is moved above the display, but it’s rated for just 0.9MP at 720px resolution. This means, the webcam will not allow users to appear good online. Talking about the measurements, Huawei Matebook 13 is just 0.59 inch thin and weights just 1.3kg that is 2.87 pounds. In compare to X Pro model, this current laptop is somehow heavier and even slightly thinner as well. Also, the device contains a full-fat Intel mobile processor that makes the lappy quite impressive. Getting to keyboard, it also seems equally impressive along with its touchpad. According to many users, they just really enjoyed a lot with touchscreen display feature with X Pro, and the company keeps such experience alive also with Huawei Matebook 13. The screen still offers 1440p picture at 100% of sRGB color gamut and its touch digitizer seems snappy as well like ever. Getting to Huawei Matebook 13 review about pricing, the entry-level version of this laptop is available for $999 onwards, whereas the other high-end version is to be sold for $1,299. In compare to its rivals, the pricing of Huawei Matebook 13 smartly undercuts Apple’s latest Macbook Air by around 100 bucks, and seems quite competitive to other brand ultrabooks like Dell XPS 13. As per the current information, Both of Huawei Matebook 13 models are available on Amazon and Newegg in United Sates, with wider retail. However, thje Huawei has not yet disclosed any exact wordings for UK and Australian release date and pricing, not even for international availability. Taking to the conclusion, Huawei Matebook 13 is essentially the same design in compare to its last year’s flagship laptop, but it’s really appreciable for the company to do refinements to its every level almost. We hope you liked Huawei Matebook 13 review by us. To stay tuned with more similar reviews and tech articles, Subscribe Us now.